As a young player growing up, the Wootten Camp was the #1 place to go learn the fundamentals of the game. The camp was my foundation for as a player, college coach and now NBA executive. My son approached me about attending basketball camp and the first thing that came to mind was the Wootten camp! He has grown tremendously as a young player over the last three years and that’s a direct result of the fundamental base he’s received from attending the Wootten Camp. If you’re looking for great teaching and great competition, look no further, the Wootten camp is the place to be! Joe Wootten has basketball in his blood. It is his passion for the game and his ability to teach that make him one of the top coaches in the country. 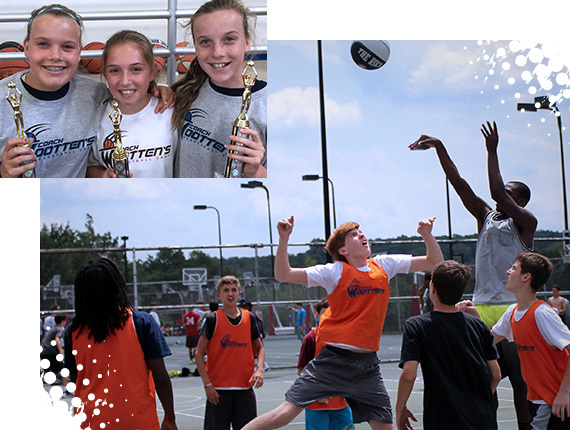 For more than 50 years, Coach Wootten’s Basketball Camp (CWBC) has attracted youth campers from across the United States and beyond for one simple reason: the instructional difference. 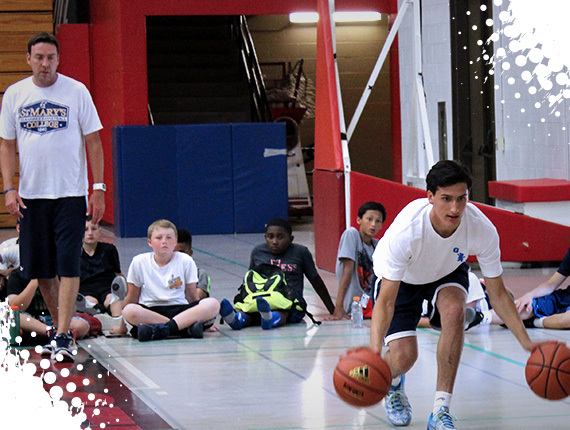 At CWBC, each camper plays 12 games and receives training from experienced, professional coaches — including Coach Joe Wootten himself — on 11 discrete skills, including moving without the ball, stationary moves, moves on the move, finishing school, and more. Teaching happens all day, every day. Unlike other camps where the director only shows up for the opening and closing ceremonies, Coach Joe Wootten participates in every single day of camp, personally working with as many campers as possible. An experienced group of coaches also works with every 10-member team during the day and lives in the residence halls. 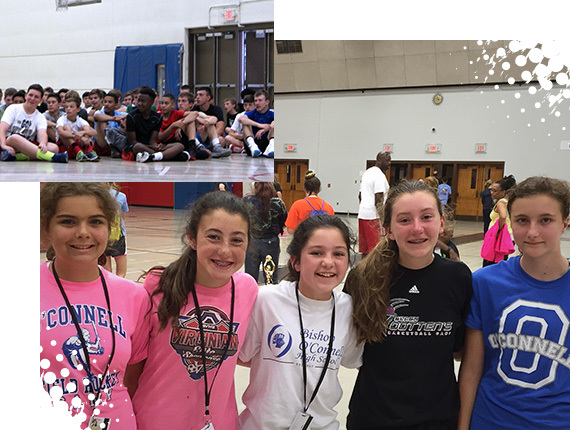 They also provide the skills and supervision off the court that make CWBC a complete life experience, not just a basketball experience. Attitude, discipline, patience, and teamwork — we tackle the lessons that must be taught by example. CWBC develops skilled players and fine young adults. Friendships, independence, and responsibility come with every camper’s experience. And, with catered meals (and unlimited seconds), dorm-style housing, and access to a top-of-the-line gym and recreational facilities, campers experience all the fun of the best overnight camps.